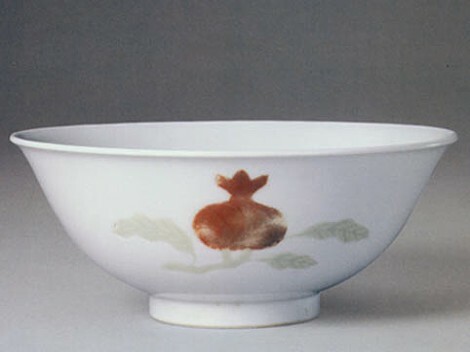 The underglaze red porcelain is a variety that emerged in the Yuan Dynasty. 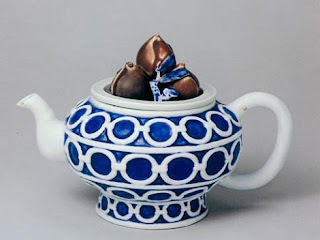 It is produced in accordance with the procedures as follows: first draw bronze red veins on the body of the porcelain and then cover a layer of transparent glaze on the body and finally burn it with the reducing flame at the temperature of 1200 centigrade degree. The porcelain processed this way will have the red copper wire beneath the glaze. 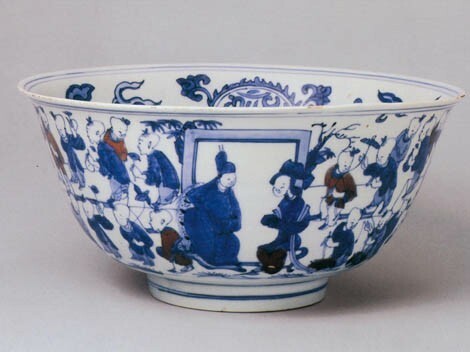 Therefore the porcelain of such type is called "underglaze red". The pure underglaze red porcelain is flamboyant and warm in colour. 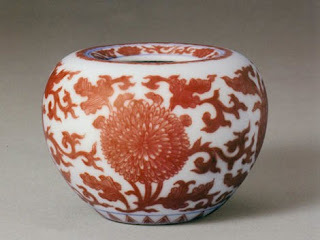 Since the red glaze will display relatively poor stability in the burning process, the porcelain of this type is rare. The underglaze red porcelain once prevailed during the Ming Dynasty and some masterpieces have been passed down until now. 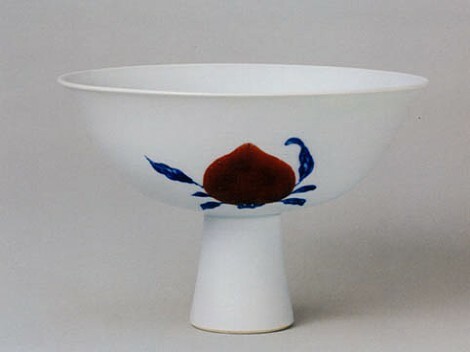 The technique of producing underglaze red porcelain reached its maturity during the Qing Dynasty. 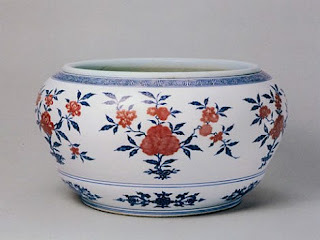 Three new varieties such as underglaze red, blue and white glaze and bean green glaze were developed then. 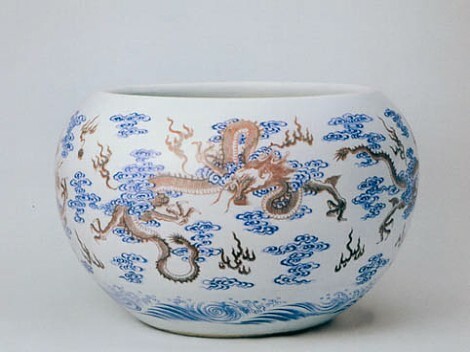 In particular, blue and white porcelain in copper red colour, the combination of blue and white glaze porcelain and underglaze red porcelain, displays the grand scenery of mountains, rivers and human activity. The colour blue contrasts finely with the colour red, thus highlighting the expressiveness of the porcelain by differentiating the primary from the secondary.